Fionnuala Gibbons took up the Enterprise Ireland funded position of Clinical trials Liaison Officer in April 2009, with responsibility for the development of clinical research process knowledge and awareness among the indigenous and multi-national pharmaceutical, medical devices, medical diagnostic, neutraceutical and biotechnology companies. 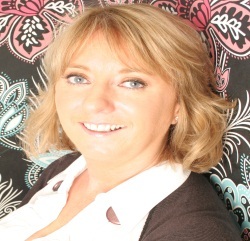 Fionnuala brings to the position a wealth of experience in clinical research across the pharmaceutical industry. She initially began her career as a nurse, and then transitioned to clinical research working as a Research Coordinator in the Thrombosis Research Centre in Kings College Hospital, Clinical Research Associate in PPD Contract Research Organisation in Cambridge and Bristol-Myers Squibb (BMS), Dublin. Fionnuala has worked across a variety of therapeutic areas including cardiology, oncology, rheumatology, endocrinology, psychiatry, HIV and haematology. Prior to joining MMI, Fionnuala held the position of Oncology Scientific Advisor for sanofi-aventis.